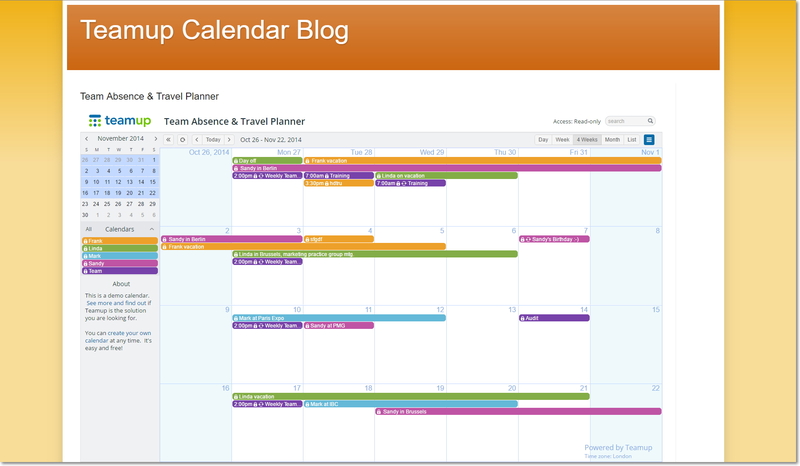 It is easy to embed a Teamup calendar within Blogger. From the left menu, choose Pages. Click on New Page. You are now in the blog editor. Adjust the height value as necessary while giving as much vertical space to your calendar as possible. Save and then Preview to check your new page. Publish it once you are satisfied. Now your Teamup Calendar can be seen by your blog’s audience!